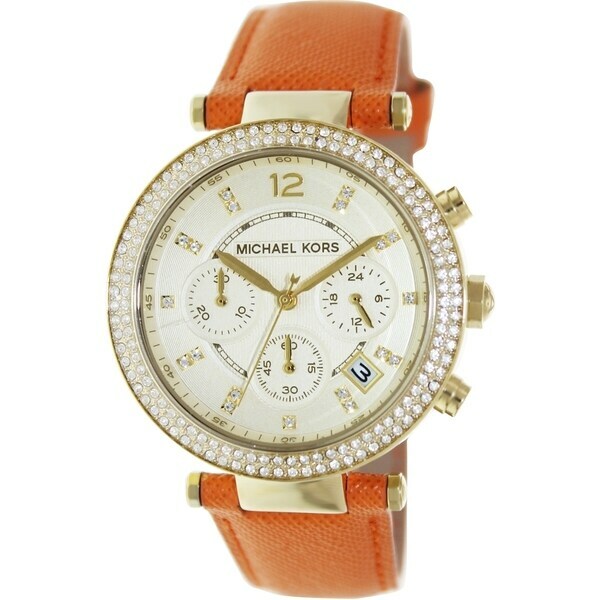 Why not have an orange watch to complete your Gators outfit. This watch is gorgeous! Also have it in navy blue. You will not be disappointed! Iconic designer Michael Kors is one of the top names in American fashion, with fashion forward styles and bold designs. This women's watch from the Parker collection features a orange leather strap and gold tone chronograph crystal dial.